Bhubaneswar: President Ram Nath Kovind addresses the 6th Convocation of IIT Bhubaneswar. President says IITians should aspire to achieve the best not only for themselves but also for society and the nation and world at large. He said that for a young IIT like yours, there are several challenges to be overcome. What matters though is the road map that you envisage for your institute. You should aspire to be the best in all areas, be it teaching, research, social impact or infrastructure . 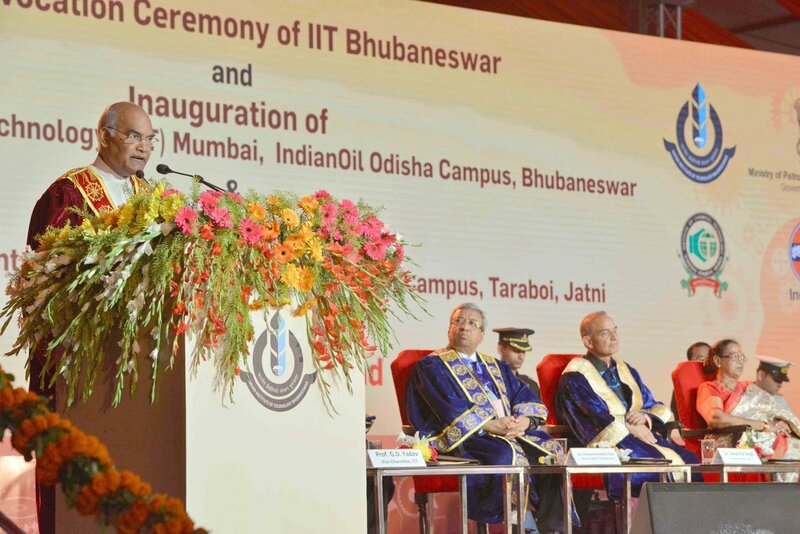 President Kovind says happy to know that since its establishment IIT Bhubaneswar has carried out several sponsored and consultancy projects and has set up five Centres of Excellence including the Bay of Bengal Coastal Observatory. 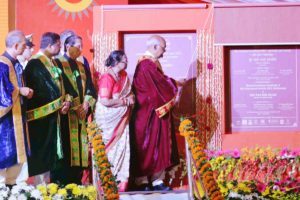 Being bright technocrats I am sure many of you would consider setting up own ventures to give shape to your innovative ideas says President Ram Nath Kovind advises students during convocation ceremony at IIT Bhubaneswar. President Kovind inaugurates the ICT-IOC Bhubaneswar campus and lays the foundation stone of the Skill Development Institute of Oil PSUs; says this demonstrate the commitment of the Govt of India to development of Odisha. SDI Bhubaneswar will be the country’s first Skill Development Institute in the hydrocarbons sector. Happy to know that this institute aims to train about 50,000 youth over the next 10 years. “I compliment the Minister for Petroleum and Natural Gas, Shri Dharmendra Pradhan and the Chief Minister, Shri Naveen Patnaik for extending their full support and leadership to making these two projects possible,” says President Kovind .